chocolate chip cookies the perfect after school snack. 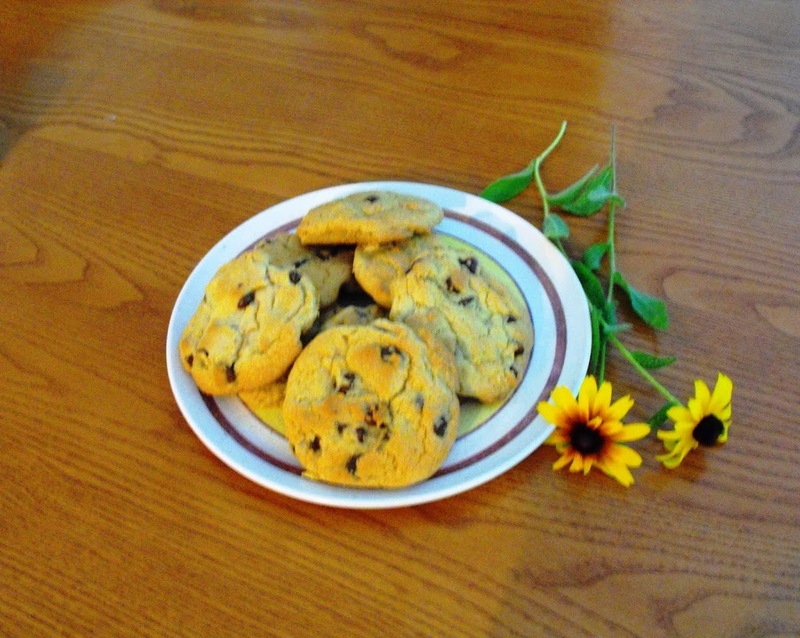 Who can resist a delicious chocolate chip cookie? I know in my house there are never any complaints when I mention that I am going to make chocolate chip cookies. They are probably on the top of the list for favorite baked treats. My children’s friends have been known to raid the freezer looking for chocolate chip cookies that I may have stored in the freezer. My one son’s friend has moved away from our hometown and has given my son his new address in hopes that I will bake him cookies and mail them to him. 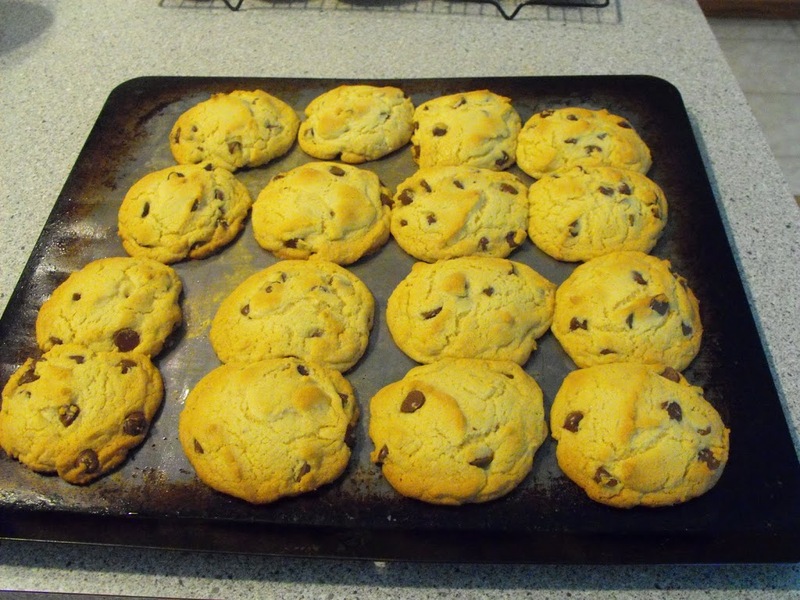 I am not sure if my recipe for the chocolate chip cookies is that much different from other recipes for these yummy treats, but it may be the way that I bake them. Especially if you like a chewy cookie like my family does. When I bake my cookies I bake them only to the point when they are starting to get a little bit brown, kind of to the point where the tops and the sides are baked, but the centers are not quite baked. You have to remember that even though the cookies are taken out of the oven they will continue to bake on the hot cookie sheet. Taking the cookies out before they are golden brown will give you a moist chewy cookie. Also, I like to add additional flour; to me, it seems that when baking any kind of cookie the recipe never quite has enough flour. Which leave the cookie a little flatter and crunchier. Which is fine if you like that kind of cookie. Beat butter and sugar until light and fluffy, blend in eggs and vanilla, gradually add flour, soda, and salt. Once you have these ingredients blended together add your chocolate chips. 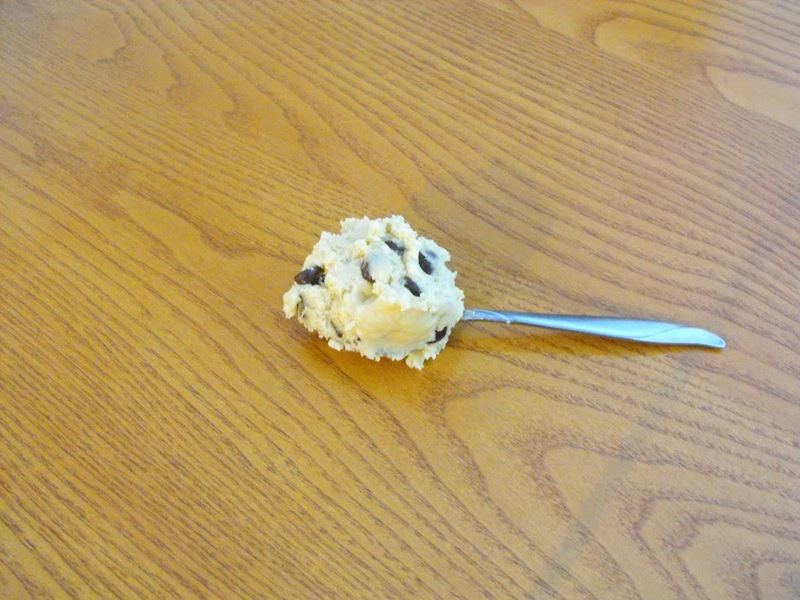 Use a teaspoon to spoon cookie dough onto a greased cookie sheet. Bake a 350-degree oven about 7 to 10 minutes or until the cookie tops are baked and just getting lightly golden brown.